An extremely easy dish that tastes good with almost all your rice dishes. 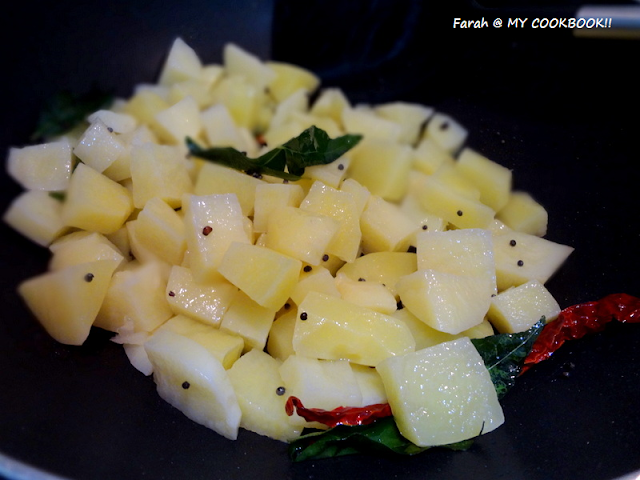 Tastes awesome with just a simple rasam, dal or even curd rice. 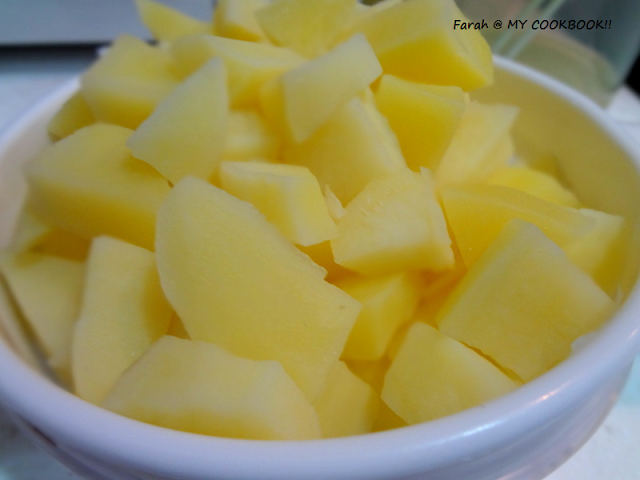 In a saucepan boil the cubed potatoes till they are a little soft. Dont make them too soft. Drain and keep them aside. Add the drained potatoes and saute for a minute. Add the turmeric powder, chilli powder and salt. If needed add more oil while stirring. keep stirring for a few minutes till the potatoes are well coated with the spices. 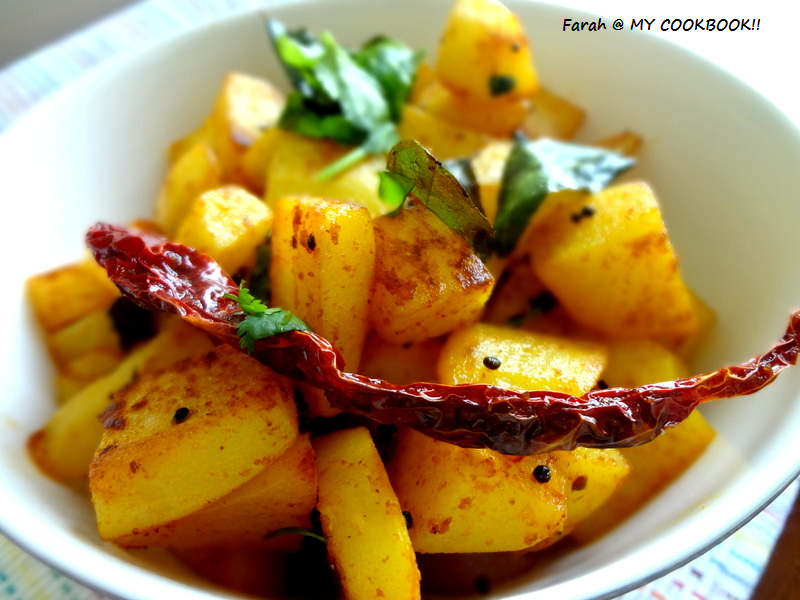 Yummy curry, always a favorite..
Never get bored of this delicious potatoes,my all time fav.